An essential addition to your airflow package – ultra-thin-wall, double O-ring flow from intake straight into turbo. 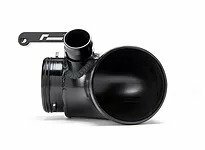 A simple fitment, the ultra-thin-wall VWR High-Flow Turbo 90 is a large diameter, free flowing intake elbow, delicately CNC machined from aluminium billet to replace the small and restrictive plastic factory inlet. The factory inlet forces the airflow to taper right down to pass through a tight and restrictive bend – in other words, terrible for flow. 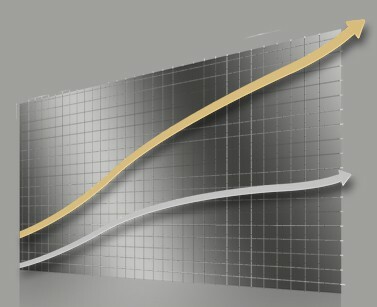 The RacingLine Turbo 90 is the thinnest-wall construction on the market for highest flow. Twin O-rings ensure the perfect seal. Some of our rivals’ less carefully-machined, or even thick cast versions rob valuable airflow. Put simply, without it, you’re wasting much of the potential of your high-flow intake system without fitting the Turbo 90. An essential upgrade! 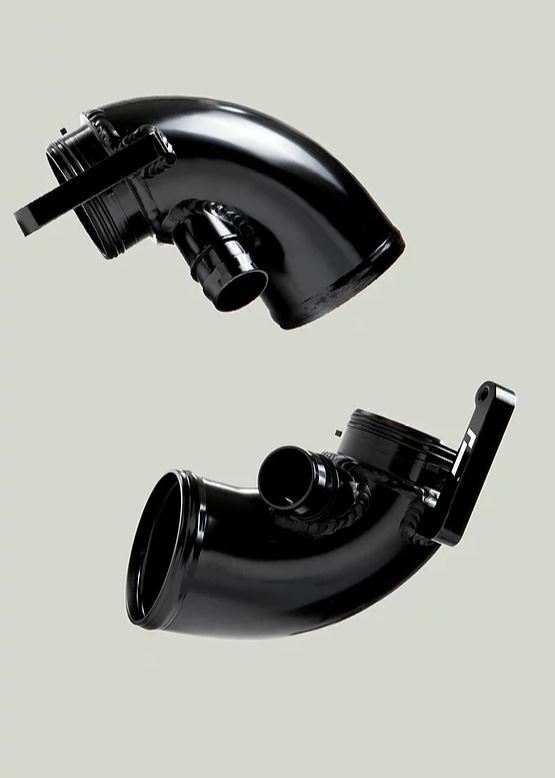 The Turbo 90 Inlet is compatible with all MQB EA888.3 1.8T and 2.0T cars. Works with the VWR R600 intake, the factory airbox, or any other aftermarket intake.The same type-304 aircraft grade anti-magnetic stainless steel that our race systems use. 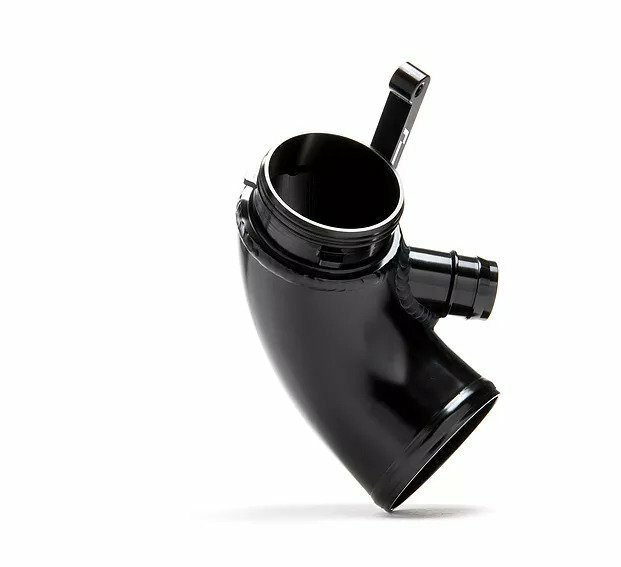 Take away the standard plastic elbow’s highly restrictive airflow path through to the turbo. The ultra-thin wall VWR High-Flow Turbo 90 gives a worthwhile power gain through smoothing and opening up that turn into the turbo. 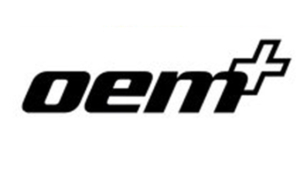 The white laser-etched RacingLine logo is all part of the detail. Twin nitrile O-rings for the perfect seal. CNC constructed from T6-6061 aircraft grade aluminium. Hard anodised in gloss black to look good, and stay looking good. Maximum diameter ultra-thin wall smoothed internal bore for max airflow. 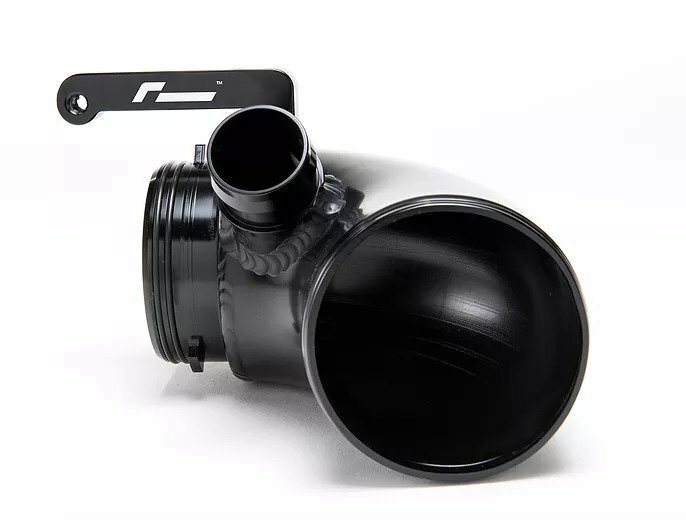 A high-flow smooth and flexible silicone hose to replace the restrictive plastic ‘bellows’ between the intake and turbo.